In response to feedback from the community, Crace Community Association has decided to do something about the recent snake sightings. 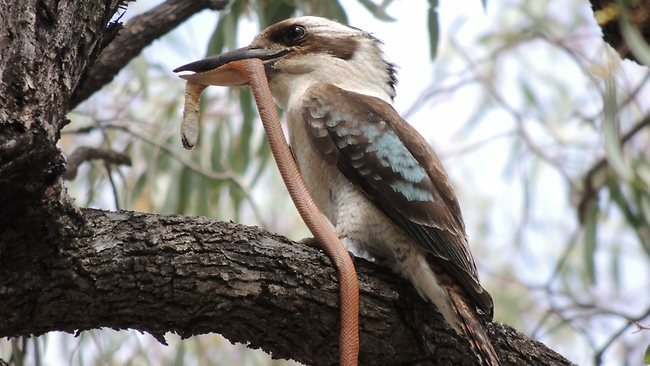 As you may be aware, Kookaburras are a natural predator of snakes, as well as mice, small reptiles, and the young of other birds. We have organised with a local aviary to relocate three small flocks of Kookaburras to Crace – around 900 birds in total. The current recommendation is to home 300 near the pond / recreation park, 300 in the trees across from Cocoparra Crescent (which will be renamed Kookaburra Crescent as part of the deal), and the remaining 300 in Hilltop Reserve. The most social kookaburras will accept food straight from your hands, and they are also known to take meat from barbecues. It is generally not advised to feed kookaburras ground beef or pet food as these do not include enough calcium and roughage. The potential noise pollution from adding 900 Kookaburras was flagged for consideration, though we think the iconic Australian bird call will be a welcome replacement for the snakes that they will hunt. You will start hearing the majestic call around Crace this APRIL.